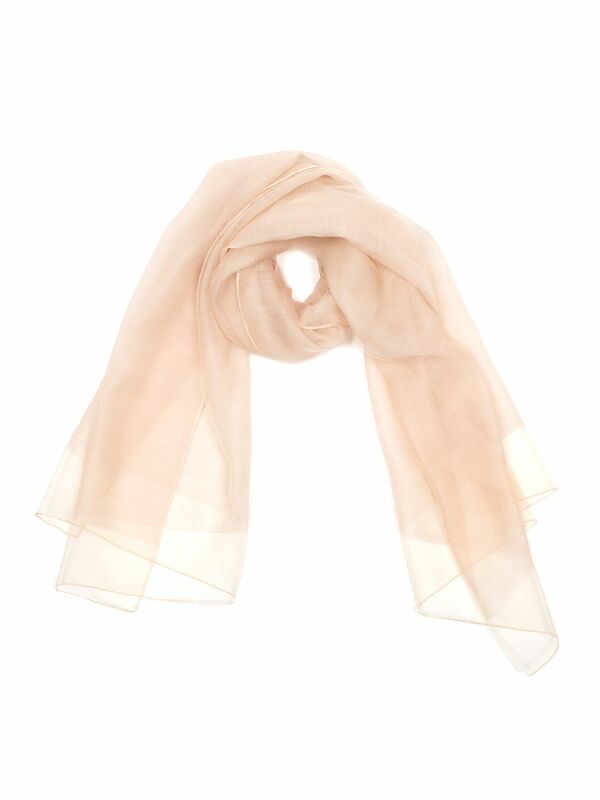 Wrapped In You Pashmina https://www.review-australia.com/au/wrapped-in-you-pashmina/RE17ACC141.REYEL004.OneSize.html Finish your outfit with this stunning silk/wool pashmina in champange. Perfect for coverage over evening wear, this wrap can be styled multiple ways. Worn with the Alicante Dress. Wrapped In You Pashmina is rated 4.9 out of 5 by 35. Rated 5 out of 5 by Soula jnr from Warm and comfortable I bought this pashmina on the weekend to go with a dress I also bought from Review. They match perfectly and with the sale price I received it was much cheaper than the advertised price. Sales assistant was lovely and very helpful. She gave me a new one that want on display and my purchases were wrapped with care. Highly recommend Myer Review in the Myer centre, Brisbane . Thanks Trish for great service. Rated 5 out of 5 by Sal50 from Elegant Pashmina Bought the Champagne Wrapped In You Pashmina to wear to a wedding two weeks ago. Beautiful, elegant accessory and perfect as the evening became very cool. Also have a navy one which my daughter borrowed for the occasion. She loved it! Love mixture of wool and silk. Very useful multi-purpose garments and generous in size. Very likely to buy other colours. Rated 5 out of 5 by Stormy from Very glamorous I first purchased the navy pashmina and just loved it. I also saw it in pink but needed an excuse to purchase that one as well. With the purchase of a pink dress I found my excuse. I feel so utterly feminine and glamorous wearing them. Because they don't sit flat and just gather around my body like "fairy floss" they feel so beautiful. Rated 5 out of 5 by Claraara from Beautiful! I bought this pashmina in navy for my sister's wedding. It goes beautifully with my navy or dusty pink dresses. It gives your look an extra touch of sophistication. It is so light-weight and yet keeps you very warm. Highly recommend it to anyone who would love to keep the elegant look as well as warm on your special occasion. Rated 5 out of 5 by jamiejenna from Silver Perfection I'm extremely happy with my Wrapped in You Pashmina - the silvery grey colour is sheer perfection. The pashmina is light and airy and suprisingly warm. I wore it with the Review Cherish Lace Dress ('Storm' colour) and it complimented the dress beautifully. Rated 5 out of 5 by Liss from Perfect Match! Bought 4 of these pashminas to go with the Endless Romance Maxi dress in navy for my bridesmaids. Perfect colour match! And the slightly sheer looking bit gives them a touch of extra elegance, perfect for a wedding! Rated 5 out of 5 by MelbGirl from Love it! Very happy with this wrap! The fabric is a mixture of silk and wool which means it doesn't slip and slide around my shoulders like my chiffon wrap does. It's elegant and adds glamour to my evening dresses - love it! Rated 5 out of 5 by Bronte12 from Perfect Pashmina I purchased this for a wedding where I already had my outfit picked, but there was a cold snap. It was the perfect piece to compliment my dress, and despite being light, kept me very warm all evening.